CSUN's ASA DataFest team — the Mean Squares — gave a short speech about their experiences with data science. Photo by Lee Choo. Ben Welsh, editor of the Data Desk at the Los Angeles Times, talks about some of the responsibilities of the Data Desk and how they use data science to write stories. Photo by Lee Choo. California State University, Northridge’s Office of Research and Graduate Studies invites students of all majors to participate in the campus’ first-ever DataJam, which kicked off on Sept. 29. Photo by Lee Choo. California State University, Northridge’s Office of Research and Graduate Studies invites students of all majors to participate in the campus’ first-ever DataJam, a competition that encourages graduate and undergraduate students across disciplines to manipulate, analyze and visualize data through an innovative lens. The birth and development of the new DataJam competition for CSUN students grew out of the work of Crist Khachikian, associate vice president of research and graduate studies, and a committee of staff and faculty across multiple departments on campus, including Information Technology, Psychology, Management and the Delmar T. Oviatt Library, according to Sherrie Hixon, director of strategic research initiatives and innovations for the Office of Research and Graduate Studies. Data science is an interdisciplinary field dealing with scientific methods, processes and systems in which humans extract knowledge or insights from data in various forms — whether it’s quantitative (dealing with numbers and other quantities) or qualitative (dealing with immeasurable qualities, such as feeling and color). 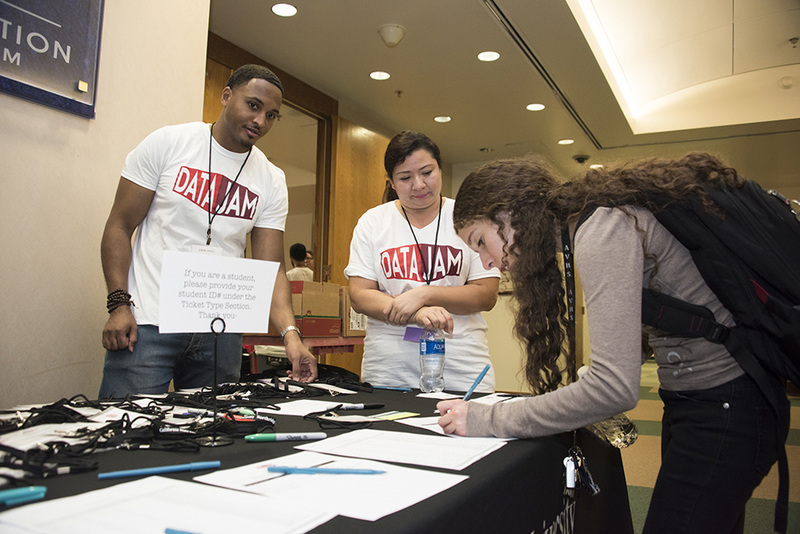 Staff and faculty launched the new contest, dubbed DataJam, with a kickoff event Sept. 29 featuring speaker Ben Welsh, editor of the Data Desk at the Los Angeles Times. Welsh oversees a team of reporters and computer programmers in the newsroom that works to collect, organize, analyze and present large amounts of information. 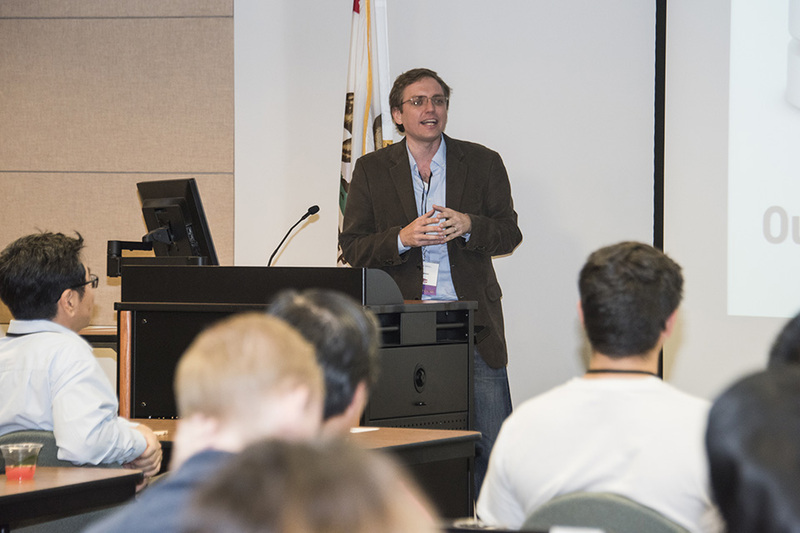 At the CSUN event, Welsh spoke to students about the value of data in journalism and at the Times. “Data is really a storytelling tool,” Welsh said. “Different people use it to further an agenda, which isn’t necessarily a bad thing — it’s just the way the world works. Data truly offers several different stories to tell. “At the [Times], we use databases to write stories, but we also turn news stories into databases that we can use later,” he added. Projects that Welsh has contributed to have been awarded the Pulitzer Prize, the Library of Congress’ Innovation Award and numerous other prizes for investigative reporting, digital design and online journalism. Professor of management Wayne Smith played a key role in launching the event. Smith explained why data science is important for students. Computer engineering student Seyed Sajjadi enthusiastically embraced and helped start the new contest on campus. 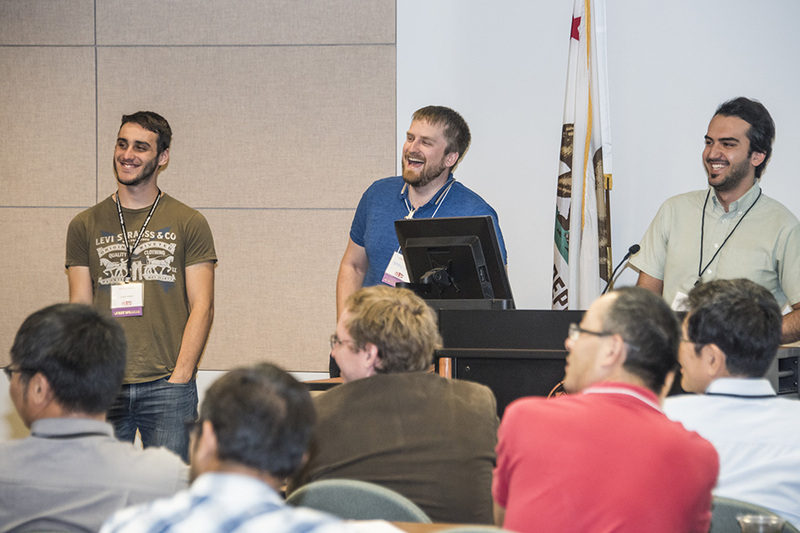 Sajjadi served as team captain of the Mean Squares ━ a CSUN student team of five that won the 2017 American Statistical Association DataFest at Chapman University. A series of workshops tackling different topics of data science, the first three Fridays in October (Oct. 6, 13, 20), 11:30 a.m. to 3 p.m. in the Oviatt Library Ferman Presentation Room. Data Science Day – 8:30 a.m. to 5 p.m., Oct. 27 in the Oviatt Library Ferman Presentation Room. Competition Day – 11:30 a.m. to 3:30 p.m., Nov. 3 in the University Student Union, Thousand Oaks Room. For more information about DataJam, please visit their website.